PanARMENIAN.Net - Anthony Bourdain, a famous chef and television personality, who had recently arrived in Armenia for an episode of CNN's "Parts Unknown," will be banned from Azerbaijan for visiting Nagorno Karabakh (Artsakh). According to foreign ministry official representative Hikmet Hajiyev, the TV personality will join a plethora of other celebrities, diplomats and ordinary citizens who have visited Karabakh. Bourdain posted a picture to his social media account of his cameraman, Jerry Risius, boarding a Russian helicopter, likely to make the journey from Armenia to Artsakh, where he has been featured in pictures across social media. Described by The New Yorker as a “swaggering chef,” Bourdain has built an empire around food, which started with his New York Times best-selling book Kitchen Confidential: Adventures in the Culinary Underbelly (2000). Today, he is well-known as a TV personality and has starred in shows on Food Network and his Travel Channel show, “Anthony Bourdain: No Reservations,” which has Bourdain traveling to unexpected locations and indulging in those regions’ local culinary traditions. Ria.ru. 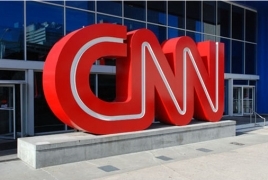 Азербайджан включит ведущего CNN в "черный список"